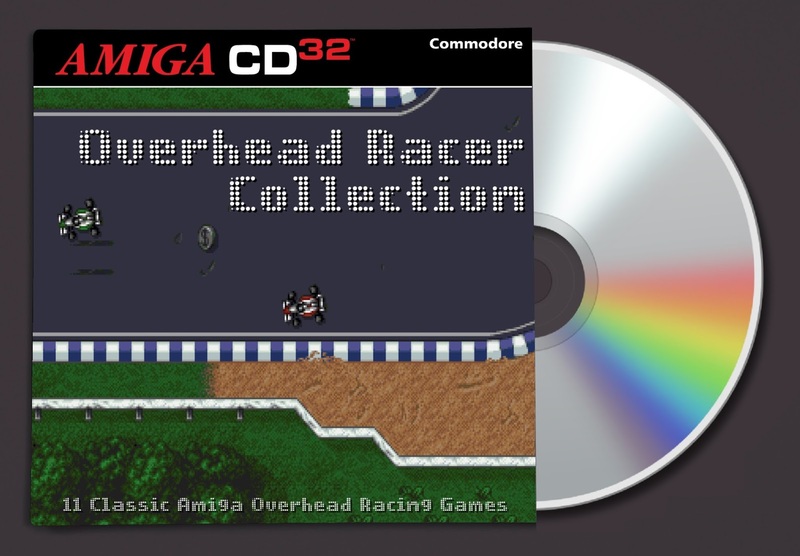 If the Isometric Racer Collection just didn't give you enough enjoyment and you wanted more, then come and play Amiga Jay's next unofficial Amiga CD32 release, the ' Overhead Racer Collection '. Unlike the isometric view point from the previous one, this is more of a straight down view, but that doesn't mean it is any less good, as some of the best racers of our time are in this pack of goodness. Racing games such as the incredible Super Cars series and Micro Machines to name but a few. As for the other games, they include, Max Rally, Champion Driver, Overdrive, Nitro, Turbo Trax, Roadkill and Super Grand Prix, that's 11 games in all to keep you busy through the week! Once again it's hard for me to pick a favourite as there are some seriously good games in this pack, with strongest memories being Super Cars and Super Cars II. I loved racing around a track speeding over bumps and blasting the other racers with rockets just to come first place. I mean seriously, how many kids and even grown ups wouldn't say no to a rocket attached to their car, I certainly wouldn't! Another game I remember rather well is Nitro, although I didn't play it on the Amiga, I do remember playing it on a bar gaming table, with a joystick either side and a coke on top... Oh such good times.